Andun have experience designing facade retention temporary works solutions for iconic, historic or otherwise protected buildings undergoing significant internal works. 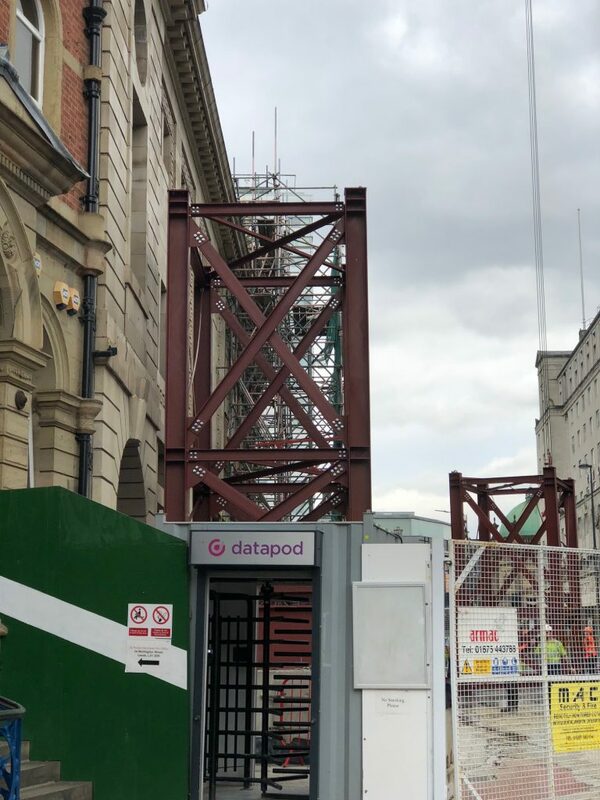 Façade retention is a temporary works solution to maintain the façade of the building in situ, whilst the internal structure is remodelled as required to suit the scheme. Façade retention can also be required to support adjoining party walls when neighbouring structures need to be preserved. 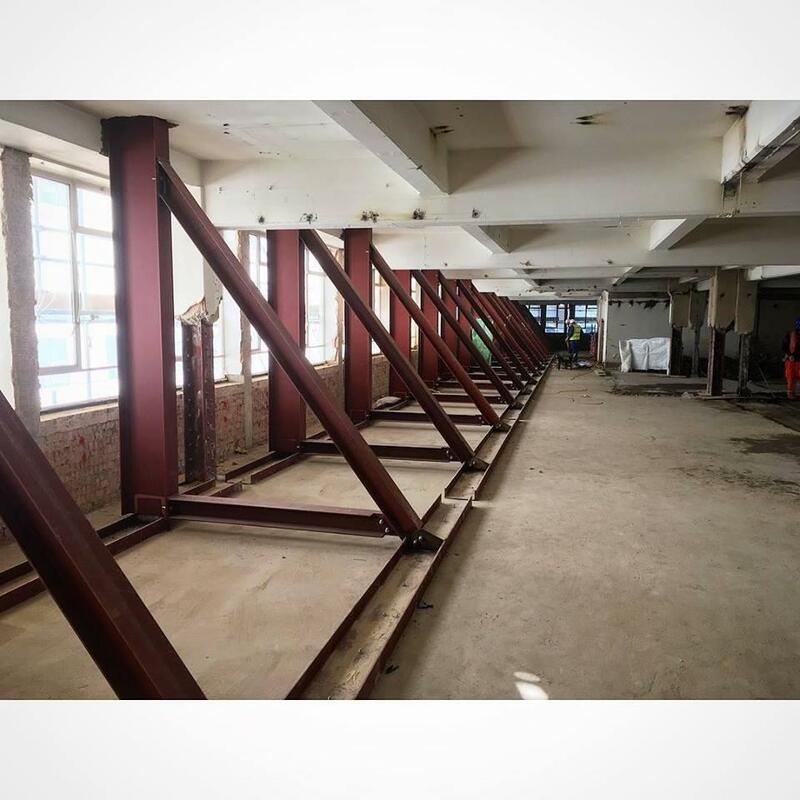 These projects can involve the design of multiple temporary works items including, demolition sequencing, propping, hoardings, flying shores, access, and scaffolding. 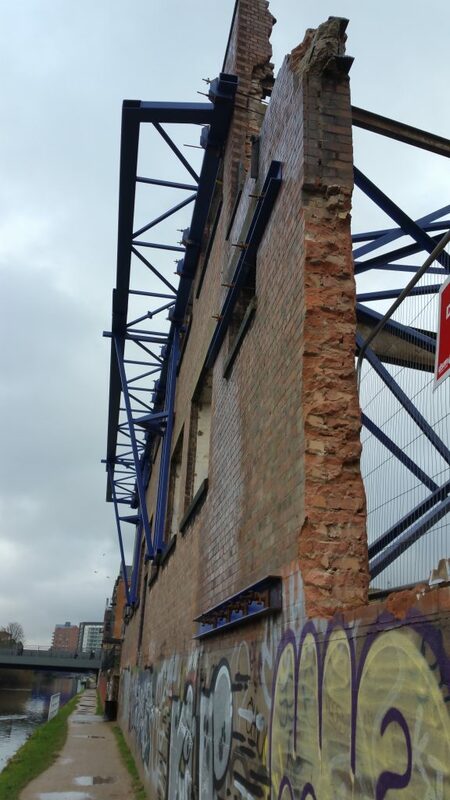 It is important to consider the intended method of demolition when designing the façade retention, as access to install the façade retention can often dictate the solution. It is also important to consider the support arrangements for the façade retention, this can vary from kentledge bases on pad foundations, through to piled foundations. The façade retention may sometimes include a gantry for materials/plant/access, or to support site cabins. Andun utilise our extensive experience to create designs tailored to the unique structural factors of each building. These can be formed from proprietary components (RMD, Mabey, Lead Acrow, etc), or fabricated steel components. The choice between the two is dictated by the life span of the retention system and client preference. A recent example of a scheme we have undertaken is the Barchester Street project. The North and South façade of a 1930's masonry factory overlooking Limehouse cut were to be retained. A combination of approaches were used to support the façade. The façade was stiffened horizontally by the use of a fabricated truss. The truss transferred the loads in the façade back to the corners of the structure, which are inherently stiff. In conjunction with additional kentledge locally at the corners this ensured stability of the façade. The scheme was designed in accordance with CIRIA 579. Need further information, or would like to enquire about our services?